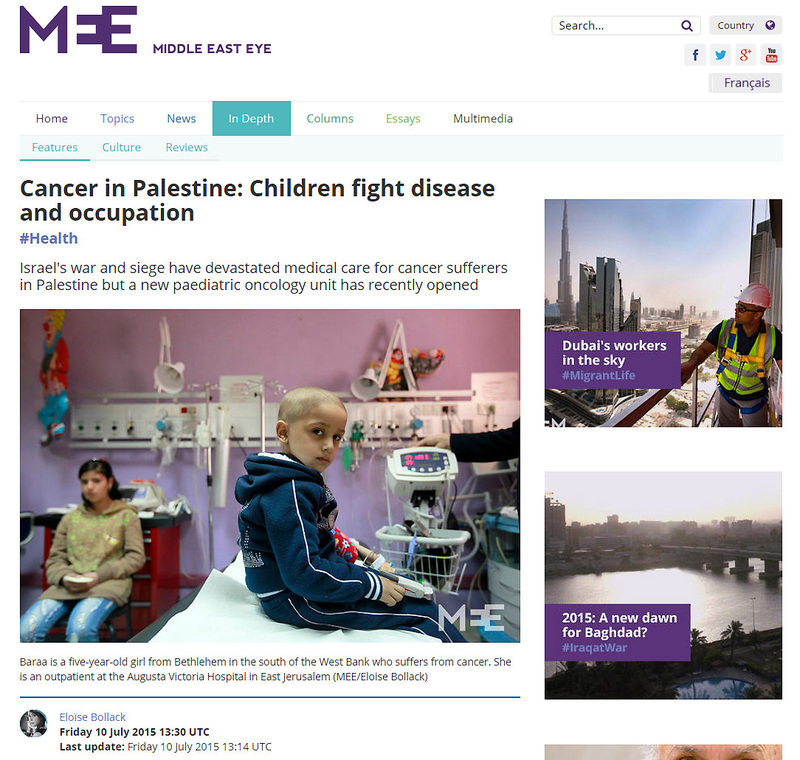 Israel's war and siege have devastated medical care for cancer sufferers in Palestine but a new paediatric oncology unit has recently opened. Hana is an eight-year-old girl from Khan Younis in the south of the Gaza Strip. When she started to get sick her family took her to the doctor, to no avail. 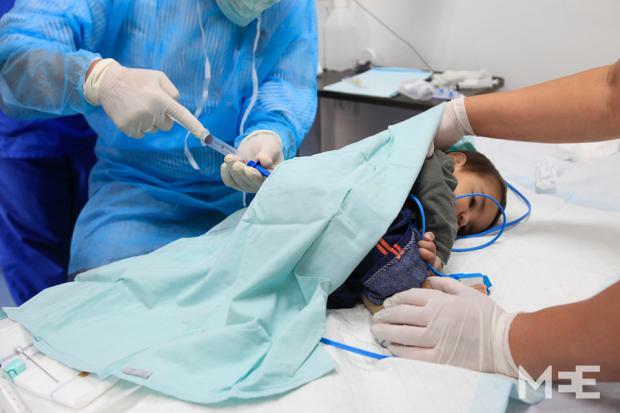 They ended up visiting every single hospital in the Strip for help but it was only when her condition deteriorated so badly that the little girl could no longer walk, that her doctors finally ordered her transfer to a Palestinian hospital in Jerusalem. Within a day, she was diagnosed with Leukaemia and she is currently being treated at the Augusta Victoria hospital in East Jerusalem. Medical infrastructure has been devastated by the recurrent wars and, as a result, health services for cancer patients in Gaza are extremely inadequate. Currently, there is only one paediatric oncology department in the besieged Strip. 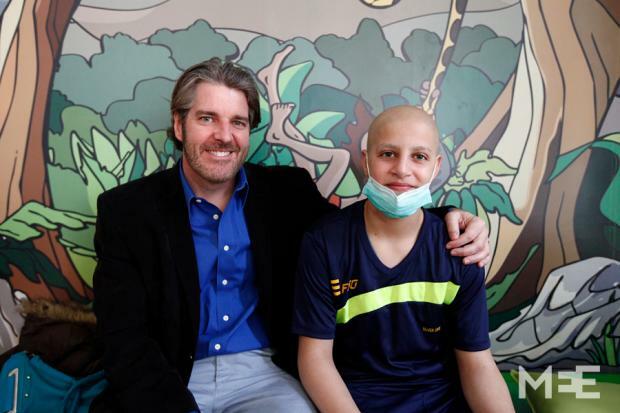 It's located in the Al-Nasr Children's Hospital. It has just four doctors on duty and only 13 beds and lacks the necessary basic equipment needed to carry out a comprehensive examination. Until two years ago, no hospital in the whole of Palestine had the ability to diagnose patients. Their only option was to go to Jerusalem or Israel. 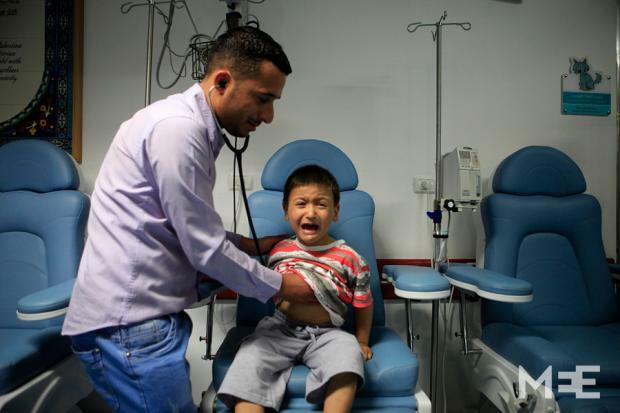 Noticing the terrible gap in the public healthcare system, an American nonprofit medical relief organisation, the Palestine Children's Relief Fund (PCRF), has taken it upon itself to build a high-quality public paediatric oncology department in Gaza that will mean that children with cancer will not have to endure the onerous travel abroad for treatment anymore.